This has been out for a while but couldn't find anything on it. So, here she goes! Take command of your own spacecraft and customize every component as you hunt, explore, fight, mine, smuggle, trade and survive in the cutthroat galaxy of the 34th century. Do whatever it takes to earn the skill, knowledge, wealth and power to stand among the ranks of the Elite on Xbox One. Governments fall, wars are lost and won, and humanity's frontier is reshaped all by player actions in a game experience unlike any other. 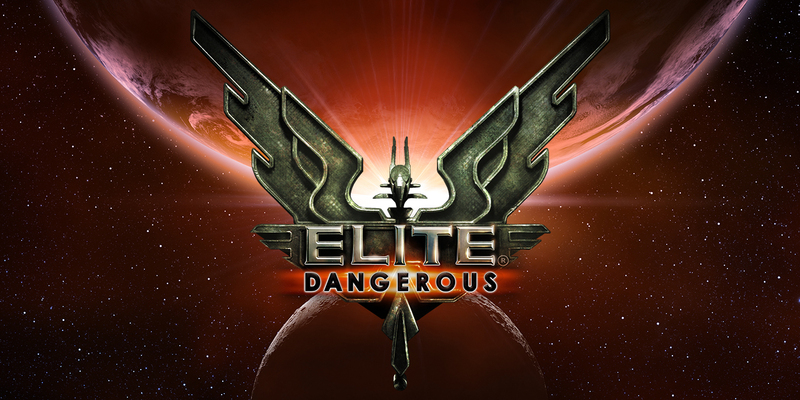 Elite Dangerous is available now on Xbox One, with optimized gamepad controls, Achievements, Friends List support and party chat. Take what comes and strike back with double. Choose from three unique ship-launched fighters to deploy from your larger ships’ docking bay. Fly into battle with twice the firepower and your own NPC crew, and bring a second gun to every fight. Combat will never be the same again. A whole new career path emerges as the Pilot’s Federation allows a new era of passenger transport. Take on missions transporting politicians, VIPs and prisoners across the galaxy, and smuggle covert operatives to their destinations in the new Beluga passenger vessel. Discover a galaxy of new challenges and new wonders, featuring neutron stars, capital ship dockyards, civilian installations and upgraded starport interiors. Explore planet surfaces and uncover new geology, ancient mysteries and unknown threats. Unlock a new level of customization for your ship and modules. Hidden on planet surfaces across the populated galaxy, each Engineer has a unique personality and history – and they just might choose to help you... for the right price. Discover game-changing loot and craft a ship unlike any other. Smuggle materials to the outposts of the elusive Engineers and earn their respect to unlock powerful module upgrades. Travel seamlessly from space to any point on the surface of accurately simulated planets and moons throughout Elite Dangerous' full-scale Milky Way galaxy, and drive new SRV ground vehicles. Each 1:1 scale world offers incredible vistas and countless gameplay opportunities.